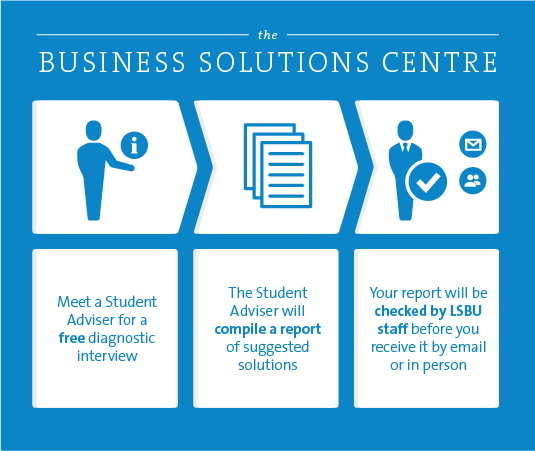 If you have identified an area of the business mix that you need some support in, a particular problem that you want to solve, or an opportunity that you want to evaluate, the student-led Business Solutions Centre can help you. The Business Solutions Centre is staffed by Student Advisers who have been through a comprehensive recruitment and training process. A member of LSBU staff will supervise the Advisers. A consultation from the Centre is free and easy to arrange - simply follow these steps. How can I use social media to support business growth? How can I evaluate the cost and benefit of new premises, or a new employee? How can I seek potential funding or resources? How can I market my business on a low marketing budget? 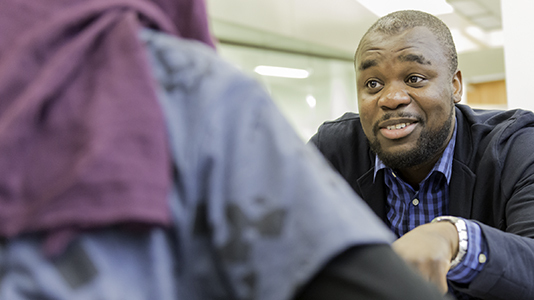 Find out further information on LSBU's areas of business expertise.